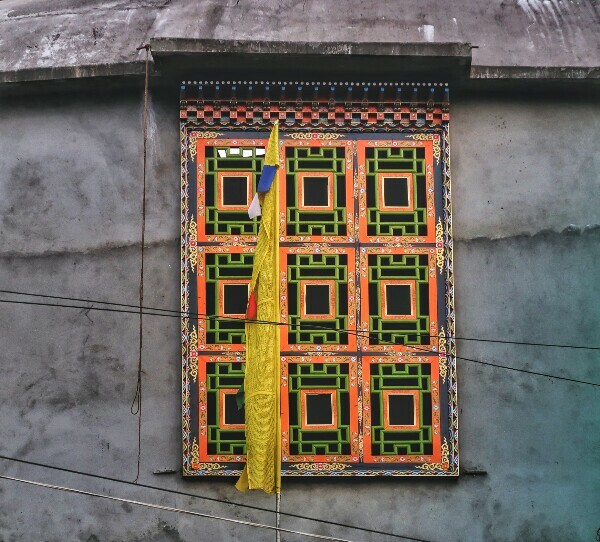 In my last post I talked about my visit to Darjeeling, if you haven't checked it out yet, you can read it here. 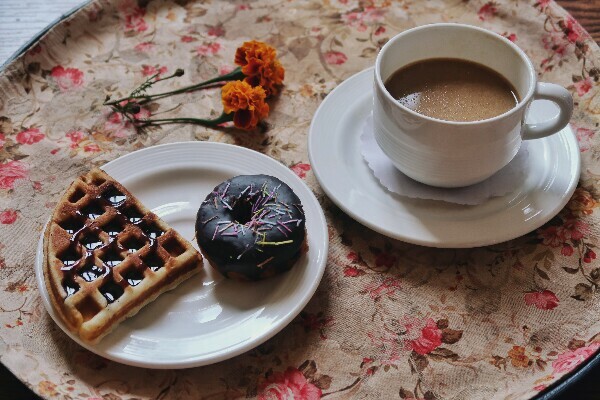 Our stay in Darjeeling was a pleasant one as we didn't really occupy ourselves doing touristy things but spend our time lazing around in the resort and revisiting some of our favorite cafes where we enjoyed the sunset over some croissant and coffee. 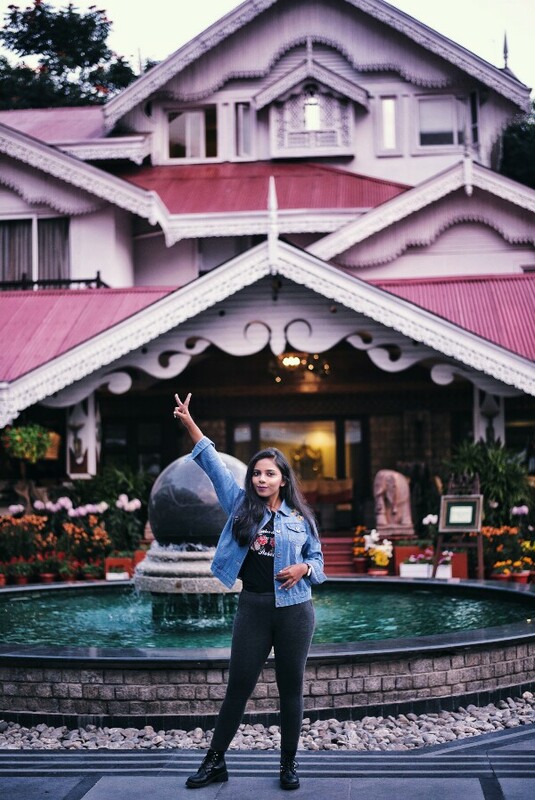 After spending a couple of days at the Mayfair Resort Darjeeling, we left the property with a heavy heart for Gangtok on the third day of our trip. We took a private cab to Gangtok which cost us INR 2400. The distance from Darjeeling to Gangtok is approximately 98 kilometers and it takes around 4 hours to reach Gangtok. On our way to Sikkim from Darjeeling, River Teesta added beauty to the journey. We stopped by the River Teesta View point also popularly known as Lover's point. It's a famous tourist spot where travelers stop by to enjoy the lovely view of the river from the mountains. The emerald green water gushing downwards with mighty force kept me occupied halfway through the journey. After a journey of 4 hours we finally reached our destination, Mayfair Spa Resort and Casino, Gangtok. The property is located approximately 10 kms away from the main Gangtok city and is spread across an area of 49 acres. A huge fountain in the form of a rotating globe was the first thing we saw on entering the resort. I was completely in awe of the magnificent villas and the colorful walls of the lobby which has rare and historical photos of Sikkim. We were welcomed to the hotel by the staff who served us tea after which we were allotted a room in the forest villa for Day 1 of our stay. An elevator and a brief golf cart ride later we reached the fern villa. As the name suggests, the villa was surrounded with trees and it almost felt like we were living in a forest. Our room was extremely spacious with a gorgeous balcony where we had our morning tea. We had our breakfast and lunch at a cute animal themed cafe next to our villa called "The Jungle Café" which served mouth-watering local Sikkimese delicacies. For dinner we opted for Orchid, a grand dining area with magnificent bell shaped chandeliers. We had a larger than life dining experience at the Orchid. The restaurant was huge and had an array of buffets ranging from Chinese to Indian and Continental. On day 2 of our stay at Mayfair Gangtok, we were allotted the Grand Villa, one of the best suites available at the resort. These Villas were located in an extremely private and exclusive part of the resort and consists of a grand bedroom, a plush stately living room and a large sun deck. The entire living area was tastefully decorated, I could spend my entire day just staring at the beautiful vintage interiors. The deck had a stunning private rock garden and an artificial waterfall that flowed into the temperature controlled dip pool. One of the major attractions at the resort is the swanky Mahjong Casino attached to it. The Casino was huge and I was mesmerized by the beyond beautiful paintings which adorned the walls. Casino Mahjong is the first full-fledged live onshore casino to be opened in India. It is open 24/7 and serves delectable food and beverages. Wonderful ambiance, attentive service and world class amenities are some of the factors which made our stay at the Mayfair Spa Resort & Casino a blissful one. The staffs at the resort were extremely friendly, polite and helped us out in every possible way with a smile. The hotel provided a special sort of tranquility far from the hustle bustle of the city of Gangtok. 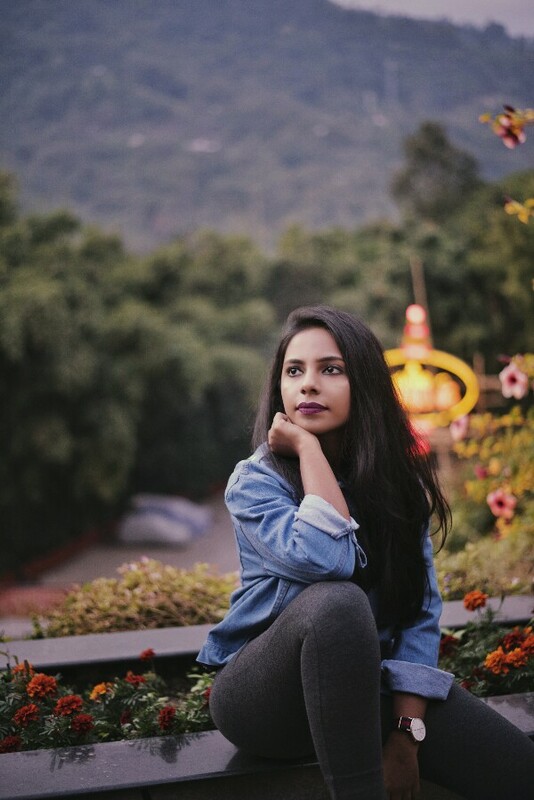 The most cherished moment I would remember from my stay at the resort would be the early morning coffee time in the balcony of our room with the spectacular view of Rumtek Monastery in the hills. Such a charming retreat indeed. If you have been following me on Instagram you must have gotten a peek into the theater festival I attended last week. Initiated in 2001, the Vodafone Odeon Theater Festival aims at highlighting the rich cultural heritage of Bengal. 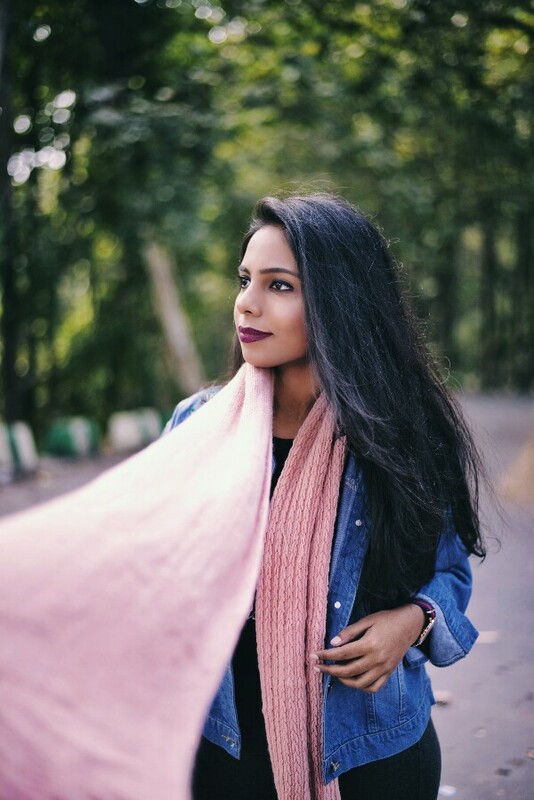 In a bid to support the promotion of art and culture across the country, Vodafone, one of India ’s leading cellular service providers, came up with the Odeon Theater Festival in Kolkata to offer a platform for dramatic excellence. The festival, a four day extravaganza, celebrates the rich heritage that Kolkata shares with art, culture and theater. The annual Odeon Theater Festival in Kolkata is a fifteen year old association of Vodafone with the city’s cultural tradition. 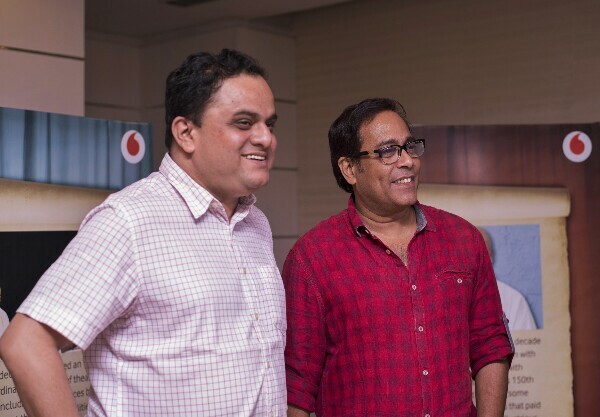 I attended the press meet on 22nd February where Arvinder Singh Sachdev, Business Head of Vodafone India, announced the 15th edition of Vodafone Odeon Theater Festival and talked about how Vodafone as a brand has always encouraged and appreciated the cultural heritage of Bengal. 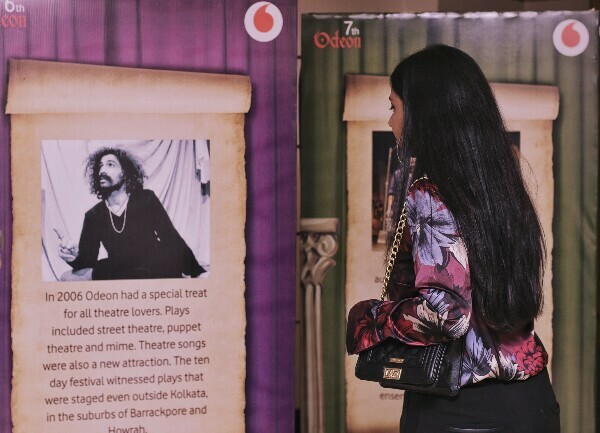 I was fascinated reading about the stories starting from the 1st to the 15th edition of Vodafone Odeon Theater Festival displayed right outside the conference hall. The 4 day theater celebration began on the 22nd February where the festival saw 20 colleges and 20 renowned theatre groups across the city competing in different segments. The participating artists got the opportunity to be mentored by eminent Bengali theatre personalities like Bratya Basu, Soumitra Chatterjee, Debshankar Haldar, Goutam Haldar, Meghnad Bhattacharya, Anirban Bhattacharya amongst others. The top 4 winners from both the segments got an opportunity to perform at Minarva Theatre and was felicitated by the celebrities on 24th and 25th February 2018. The winning colleges were Vidyasagar College, Moulana Azad College, Sarojini Naidu College and Vivekananda College. The selected theatre groups are Frankly Speaking, Naihati Spartan, Repertory, Bawandule and Rabindranagar Natya Youth. Some of the popular Bengali and Hindi plays that were staged in this year’s theatre festival were Gang, 21 Grams, Mumbai Nights, Mulya and Main aur Tum. Eminent personalities like Samrat Ghatak, Goutam Haldar, Sharman Joshi, Bratya Basu, Rajat Ganguly and others performed in the different Hindi and Bengali plays. Being a non-bengali I was eager to attend a Hindi play and therefore I opted for "Main aur Tum", a hilarious rom-com starring Sharman Joshi and Tejashri Pradhan. Both the actors were flawless and spontaneous. The use of lights and decoration was commendable. The onscreen chemistry shared between Sharman Joshi and Tejashri Pradhan was sizzling. It was a difficult story depicted with utter simplicity and that won the heart of the audience. 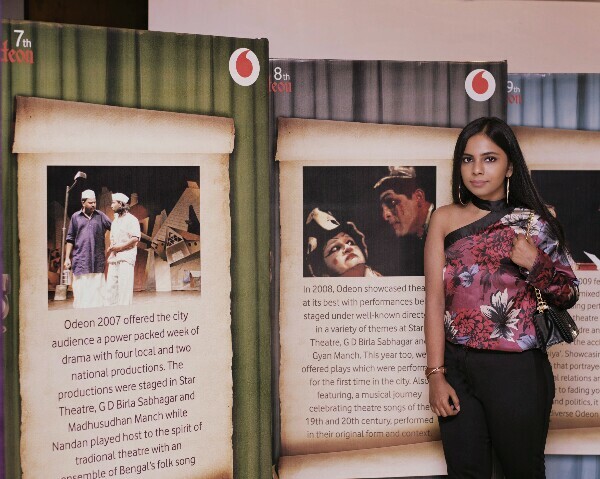 The festival demonstrates Vodafone’s commitment to strengthen the relationship with its customers in Kolkata by following an innovative format that combines staging of contemporary plays and supporting local talent.